Hockwold Hall is basically a Tudor House, built by a local magnate, Sir Thomas Tindale shortly after 1539 on the site of a medieval manor dating back to 1275. The new house took the name of the manor which was called Poynings, after the family who had owned it for nearly 250 years before it passed to a cousin Henry Percy, 4th Earl of Northumberland. His son the 5th Earl inherited Poynings but died childless, and bequeathed his properties to Henry VIII, who sold Poynings to Thomas Tindale. 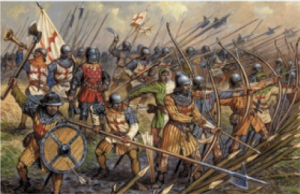 Thomas Tindale had through his grandm other, a shared ancestry with the Poynings and also through his great-great-great-grandmother, claim to the Crown of Bohemia. This may seem rather tenuous, but his grandfather had been offered the Crown of Bohemia in 1501, and so too, three generations later, was Sir Thomas’s son, Humphrey Tindale, 4th Dean of Ely. 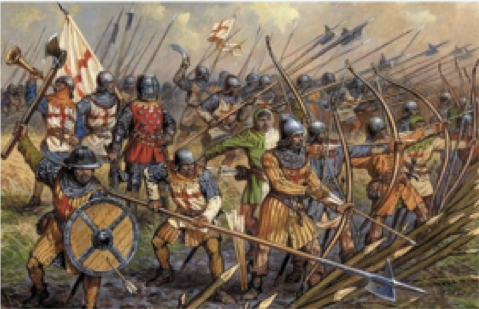 Both refused, but there is an intriguing link back to the Poynings, in that Michael de Poynings was knighted (and later created 1st Baron Poynings) on the battlefield of Crécy in 1346; the same battlefield on which Thomas Tindale’s ancestor, Blind King John of Bohemia, was heroically slain fighting on the French side. As well as Humphrey, Sir Thomas had two other sons who as his co-heirs, sold the Hockwold properties soon after 1583 to a cousin, Sir William Paston, who gave use of the manor to his uncle Sir Clement Paston till he died in 1597. Sir Clement was a retired naval commander and was Sherriff of Norfolk in 1588. 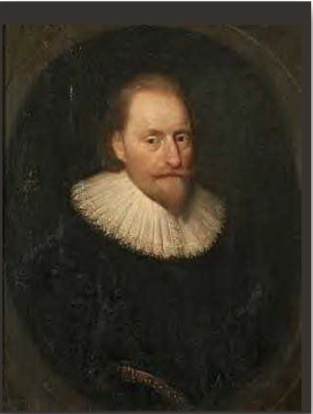 In 1602, Sir William Paston settled the Hockwold properties on his granddaughter Bridget, who had married John Heveningham, and these properties came to the Heveninghams on Sir William Paston’s death in 1610, to be inherited by Sir William Heveningham in 1633. Sir William Heveningham was a Member of Parliament from 1640 and during the Civil War, he was one of the Commissioners of the trial of King Charles I in 1649, and was himself tried for treason at the restoration of the monarchy in 1660. During the Heveningham’s tenure, the Hockwold manors were occupied by Sir William Heveningham’s brother, Col. Arthur Heveningham. His son Henry, born at Hockwold, wrote the poem “If music be the food of love”, based on lines in Shakespeare’s Twelfth Night, and famously set to music by Henry Purcell 1692-3. After the trial of Sir William Heveningham, his properties again came to the Crown and Hockwold was gifted by King Charles II to six courtiers, who promptly sold it on to Sir John Crofts, newly created 1st Baron of Stow, who was in need of a family seat. Unfortunately, Sir John died almost immediately, and Sir Cyril Wyche came to Hockwold in 1664, and purchased “Poynings” in 1690 for £12,000 (£2.7m in today’s money). Sir Cyril Wyche was a member of the “Cavalier Parliament” from 1661, a Privy Councillor and Chief Secretary of Ireland in 1676–85 and again 1692–93 and MP for Trinity College, Dublin. In 1693-95 he was appointed Gentleman of the Privy Chamber and a Lord Justice of Ireland. In this capacity, he was acting under “Poyning’s Law” established two centuries earlier by Sir Edward Poynings, the last of Poynings to own Hockwold, when he was Lord Deputy of Ireland. 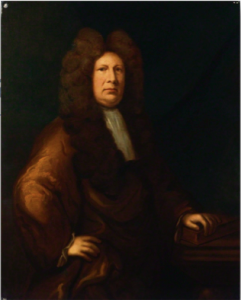 Sir Cyril Wyche was a founder member of the Royal Society, and President in 1683-4 and President of the Dublin Philosophical Society in 1693. He left Hockwold to his son, Jermyn Wyche, also a Member of Parliament, who in turn left it to his son, Cyril. This younger Cyril, also knighted and thus easily confused with his grandfather, added the stables and other improvements to the house. After the death of this second Sir Cyril Wyche in 1780, the house passed to a nephew, Cyrill Clough of Feltwell, and then to his daughter Catherine Clough, the fourth time the property had been inherited through the female line since 1275. Catherine married the Reverend William Newcome, son of the Archbishop of Armagh and Primate of Ireland, another significant link of Hockwold to that country. William and Catherine acquired additional land through enclosure, and the house was the focus of a riot in 1815. After William’s death in 1845, Catherine was Lady of the Manor till her death in 1875. 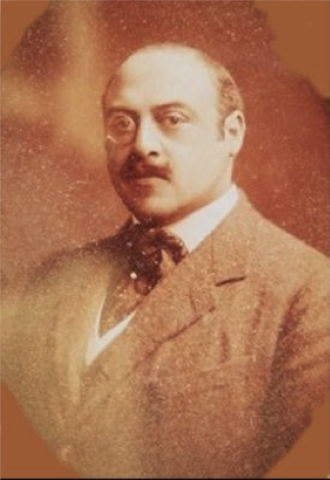 Ownership of Hockwold Hall remained in the Newcome family until at least 1931, but in 1894, it became the residence of Crown Prince Victor Duleep Singh, son of the last Maharajah of the Sikh Empire and a godson of Queen Victoria. Prince Victor came to Hockwold with his younger brother Prince Frederick and commissioned a significant extension to the eastern part of the house in 1895. Victor was a close friend of Lord Carnarvon and there has been much speculation about his relationship with Lady Carnarvon. However, Prince Victor married Lady Anne Coventry and the Prince and Princess came to Hockwold in 1898. Declared bankrupt in 1902, the couple fled to Paris and Prince Victor died in Monte Carlo in 1918. Hockwold Hall appears to have been occupied by the Air Ministry in 1918, while a new aerodrome was being constructed nearby at Feltwell. In 1933, the Hall was purchased by Sir Harry Peat, who was Senior Partner of what is now KPMG, one of the “big four” international accountancy companies. The Hall remained in the Peat family till 1978, after which it became a hotel run by Philip Law and then John Nevin. In 1987 it was purchased as a private home by Nabil Chartouni, a Lebanese businessman and major donor to the American University in Beirut. He made many of the improvements that are responsible for the fine state of the Hall today.